Summary (Provided by Goodreads): The residents of a sleepy mountain town are rocked by troubling visions of an alternate reality in this dazzling debut that combines the family-driven suspense of Celeste Ng’s Little Fires Everywhere with the inventive storytelling of The Immortalists. The title was actually what initially drew me to this book. A few years ago, Idina Menzel and Adam Rapp were in a musical by the same name that dealt with what direction would your life go if you made one different decision. Two stories ran simultaneously, one that followed the characters after decision A, the other after decision B. I loved the concept, so when I saw this book I thought it could be something similar. I read the summary and saw that it was about alternate realities (although not in the same way as the musical) and was immediately intrigued). I was so highly disappointed by this book. If you do not enjoying negative reviews, just scroll to the end to get my rating and wrap up summary. If/Then follows 4 main characters; Ginny, her husband Mark, and their neighbors Cass and Samara. Ginny is the chief of surgery and is never home, leaving Mark to raise their pre-teen son Noah. Cassie is the mother to a newborn and her husband is away on a research trip. Samara has just lost her mother and is trying to figure out where her life should be. One day, Ginny sees another version of herself lying in bed, not with her husband, but with a female nurse that she works with. Mark, Samara, and Cass also start to see alternate realities of themselves and their loved ones. No one knows why, but Mark gets a feeling that something terrible is about to happen. Basically, I have a few major issues with this book so I will try to express them in the clearest and nicest way possible. Issue number one is the reason that everyone starts seeing alternate realities. To me, it was such a let down. It was something I immediately guessed and kept hoping that maybe it wouldn’t be the explanation I was expecting but then it was and just, ugh. I also thought there would be more to do with the alternate realities, while in actuality the visions were few and far between. I also completely did not understand the point of Samara. She could’ve been taken out of the story with little to no consequence. I’m not saying I didn’t like her, but when you have so much going on with so many characters already, why throw in another one who really doesn’t bring anything to the story? I feel like if Samara had been taken out of the story, it could’ve resolved another one of my issues which is that because of the jumping around, I never felt like I got a good understanding or connection with most of the characters. This made it hard to be sympathetic toward their actions and resulted in me not liking most of them. There was one twist to the story that I did enjoy, but then just confused me even more. But I think the confusion with that was more along the lines of sometimes thinking about alternate universes making my head hurt and not the actual twist. There are a lot of books and movies that do a great job of dealing with alternate realities and, unfortunately, I don’t think this is one of them. I read a review comment on Goodreads and someone stated it read as though someone was writing a TV script and I feel like that’s a solid point. This book might make a good mini-series if they could work out some kinks, but as a book it just did nothing for me. I enjoyed the book until about half way through which is why I didn’t give it 1 star, but once I hit the halfway point I struggled to pick it up and just found myself getting mad at it. I know this book has been on a lot of peoples’ lists for being one of the most anticipated books of 2019, but I’d say give it a pass. Summary (Provided by Goodreads): Newlyweds Celestial and Roy are the embodiment of both the American Dream and the New South. He is a young executive, and she is an artist on the brink of an exciting career. But as they settle into the routine of their life together, they are ripped apart by circumstances neither could have imagined. In this deft exploration of love, loyalty, race, justice, and both Black masculinity and Black womanhood in 21st century America, Jones achieves that most-elusive of all literary goals: the Great American Novel. I was very nervous about reading this book. The summary eluded to very heavy subject matter and I’m not always good with reading books along this line. However, it was a book club pick so I didn’t really have much choice. Celestial and Roy have been married just over a year when he gets arrested for a crime he didn’t commit. He is sentenced to 12 years in prison. Celestial stands by his side for about 3 years before she realizes that it’s too hard and that their marriage did not have the foundation to support these kinds of trials and tribulations. She ends up seeing someone else, but then Roy gets released after only 5 years in prison. I’ll start with what I liked/what surprised me about this book. I thought that the story was going to start with Roy in prison and then go through their lives from there. I thought maybe there would be some flashbacks to how he ended up there and how their relationship was before. This story was not done this was and I enjoyed the way it was written instead. The story starts with a brief history of Roy and Celestial’s relationship, moves towards the arrest and trial, and then moves into a series of letters between Roy and Celestial while he is in prison. I think what I appreciated the most is how easily this allowed me to get into this book. The subject matter was still heavy, but the way it was written was simple. By the time I started getting to the heavier/harder to read parts, I was invested in the story so I couldn’t put it down. I also liked that the story was told from multiple perspectives: Roy, Celestial, and Andre. When telling a story like this, there are a lot of sides to the truth, so I think it was important that the reader got to hear from everyone. Honestly, the heaviness of this book that I was most worried about, didn’t get to me until about the last 50 pages or so. At that point, I started getting angry, an irritated, and wanted to put the book down (and maybe never pick it back up). But, I was only 50 pages from the end! So I was able to push through. I am thankful that this book was only 300 pages because I don’t think I would’ve been able to handle it if it was longer. I am also glad that this was a book club choice because I need to talk about a lot of this. So I kinda screwed up and double booked myself this month. I wasn’t able to make it to book club to be a part of the discussion. I did get to sort of discuss it with one book club member but only briefly and we both agreed that it was a tough book to read and that neither of us were rooting for the love story. I don’t know what it is exactly, but lately my reading has slowed down. I definitely haven’t been reading as quickly as I used to, which means I’m reading less books. I’ve had a lot of review books lined up lately, which may be part of it, but I don’t find myself reading during the week as often. I know a lot of people say you make time for the things that are important to you and I always was able to find time for reading before. I do have a lot going on in my life right now, so maybe that explains part of it, but it’s kind of weird. Anyway, this is just a little note to explain why things have been a little slower and a little quieter. I will try to come up with a few ideas of non-review posts to keep the content flowing. I don’t have any challenge updates or anything to do because i failed at challenges last year, so I didn’t do any this year. Is there anything specific you’d like to see on the blog? Any genre recommendations? Books I’m most looking forward to this year? I enjoyed Guillory’s first book, The Wedding Date so I was looking forward to reading this next installment. I love when a series isn’t tied together by the story but by the world it takes place in. The cover are is cute and definitely something I would pick up off the shelf. It also has a lot of details you slowly notice as you read the story. This book was very cute and I think I liked it better than The Wedding Date. Also, I initially read this book in December and it has since become the February book club pick for Reese Witherspoon’s Book Club. Now, this doesn’t really impact my review at all, just thought it was a good piece of information for you to know. I have enjoyed every book that I’ve read that has been a Reese recommendation. Some more than others. 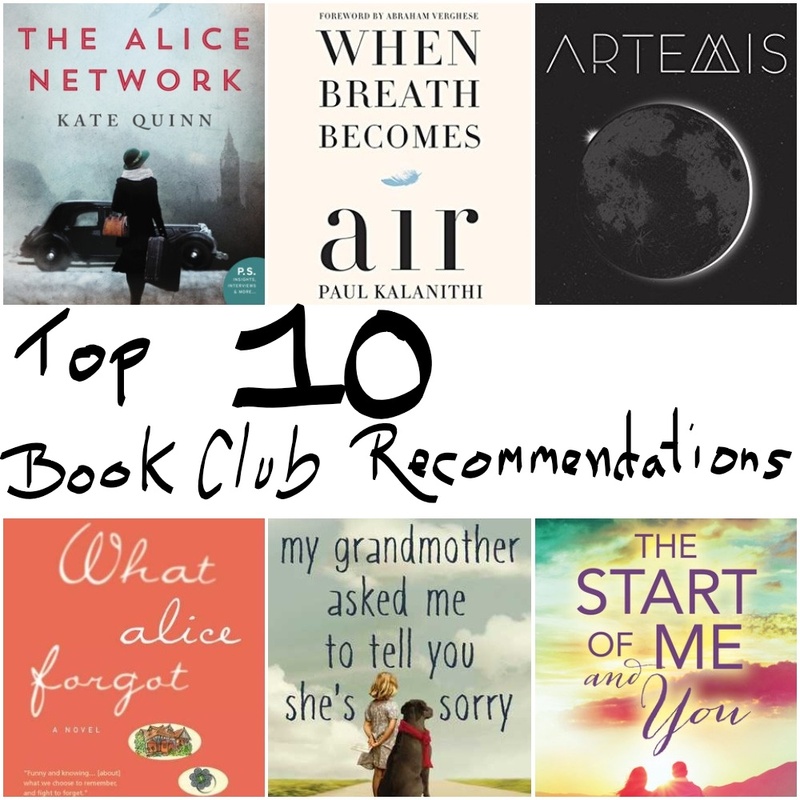 So, if you are looking for other books to read, I recommend looking at her book club picks. Anywho, back to my review. 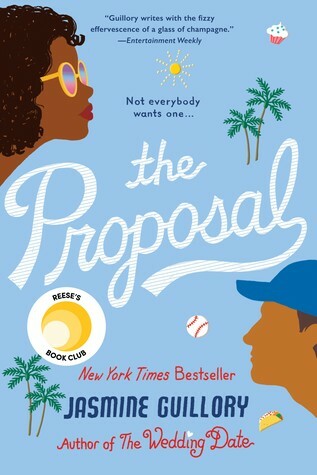 Carols and his sister save Nikole from the masses after a disastrous proposal at a Dodgers game. Afterwards, Carols and Nik become friends and eventually a little more. Nik isn’t looking for another relationship and neither is Carols, so they agree to keep things casual. I really liked Nikole in this story. Yes, she has issues, but she’s still a fully functioning human being. I found most of her reactions to things that happened to be normal and relatively levelheaded. When her boyfriend proposes, she rightly responds with “We’ve never even discussed this!” I also appreciated that she takes action instead of just sitting around and waiting for things to happen. Carols is, of course, perfect. I liked him in The Wedding Proposal as Drew’s friend. He was a sweet guy who seemed to truly have his friend’s interests at heart. I loved seeing his relationship with his family members, especially with his sister. While this book isn’t going to shock you with twists and turns, it will take you on a happy and love filled journey. Like all romance novels, there it a conflict that happens in the back half of the novel that appears like it’s going to completely destroy everything. I know I keep saying this but, the way this conflict was handled was reasonable and it didn’t seem thrown in just to cause issues. I also didn’t find myself disliking any of the characters because of how they reacted. This was our first book club read. It was a great way to start our book club and I think got us started on the right foot. If you haven’t read it already (I know that it’s popular and has been out for a while) the subject matter is light enough to read through but heavy enough to spark some really good discussion. I think this was my first pick for our book club. I find historical fiction and feel like it makes for a good discussion. The romance as well as the questionable moral choices makes this a good discussion book. In addition to that, there is a movie (a well done movie) that could be really fun to read the book and then enjoy the movie together. Feeling a little worn out from my first two recommendations? This book is unique and quirky and while it does has a little bit of a downer side to it, it’s overall a fun read. The characters are unlike any I’ve ever read and they jump off the page. So much happens in this book that I can’t imagine your book club reading it and NOT have something to talk about. So I’m realizing that a lot of my recommendations are on the heavier side, but I can’t make a list of recommendations without this book. It’s non-fiction, which isn’t typical for our book club and might not be typical for yours, but it is so good. You will cry but there is so much going on in this book and it is one that has stuck with me years after reading it. For the past 5 summers, we have chosen to read a classic book as our book club read. This past summer we decided that we didn’t want to continue that tradition, but I decided to throw a classic on my recommendation anyway. If you feel like your book club is in a rut, it might be fun to throw a classic novel in there to mix things up. Little Women is a classic for a reason, but it’s a simpler classic. It’s not one that will make you feel like you’re stuck back in high school. It’s easy to read but still has a lot that is relevant that will make for good discussion. The best way I can describe this book is like an adult version of Zenon Girl of the 21st Century. 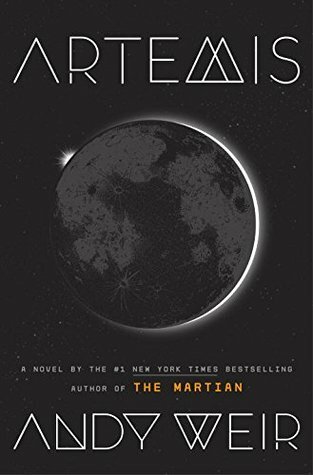 While I’m not normally a sci-fi person, this book was o the best seller list for a reason. The world is unique and the writing is very vivid. I can still visualize each and every part of the space station. 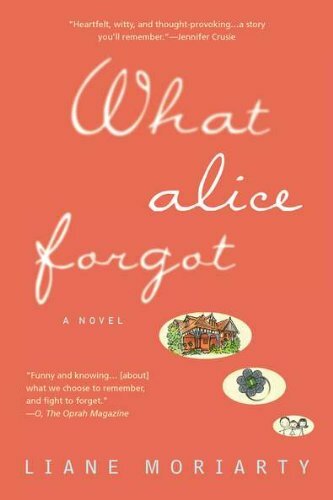 This is the book that introduced me to Liane Moriarty. Honestly, you could pick just about any of her books to throw on here and I don’t think you’d lose. I love discussing different theories that I had with everyone else and see if they thought the same things. 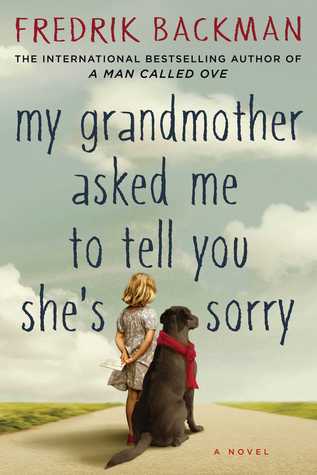 My book club as read a few young adult novels but I loved this one. It’s probably the lightest book on this list. Sometimes you just need to read something light and fluffy and there is nothing wrong with that. Not every book that’s good for discussion is one that’s dark and heavy. This is another one of those book that has some moral ambiguity as well as just, in general, a lifestyle very different from mine. Stepping outside of your own everyday box is always refreshing. Rounding out the list is my most recent book club pick. Like I said, I am a fan of historical fiction. 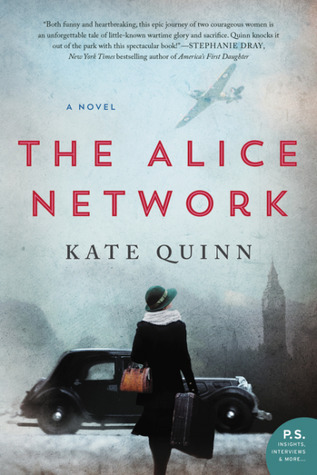 I liked that this one focused on the female effort during World War I. It’s a lighter and quicker read than Light Between Oceans, but we had a lot to talk about. This was unanimously my book club’s least favorite book that we have read. None of us liked it and it is our gold standard when we are discussing other books we didn’t like. We constantly will call back to it as “at least it’s not as bad as Life After Life!” The only reason I mention it is because every book club needs a book they all dislike. We’ve often talked about how sometimes our best discussions come from the books that we didn’t like. Now, I can’t guarantee that you will dislike this book as much as we did. I mean, it was a best seller after all. But the point of putting this on here is to say, don’t be afraid of picking a book that you’re book club might not like. It will provide a lot of discussion, laughs, and fun memories. Are you in a book club? What is your favorite book that your book club (if you’re in one) has read? The cover is so colorful. I love it! it definitely would’ve caught my eye. The summary itself I was a little iffy on, but once there was a mention of a ballerina I got sucked in. Even though I greatly enjoyed this book, I couldn’t quite give it 5 stars because I don’t know if I would go out and purchase this book and I don’t know if I’d re-read it. it is a book that I highly recommend for people to check out and will pass it on. I also think this could’ve made a great book club read. If you are a fan of adult fiction, you will enjoy this. It is a truly heartwarming and inspirational (can I say these words enough?) that I think could touch so many people. I also hope that it is made into a movie because I think it could be done very well.